The town's annual service marking the event is being attended by Kelly Craft, the U.S. ambassador to Canada. 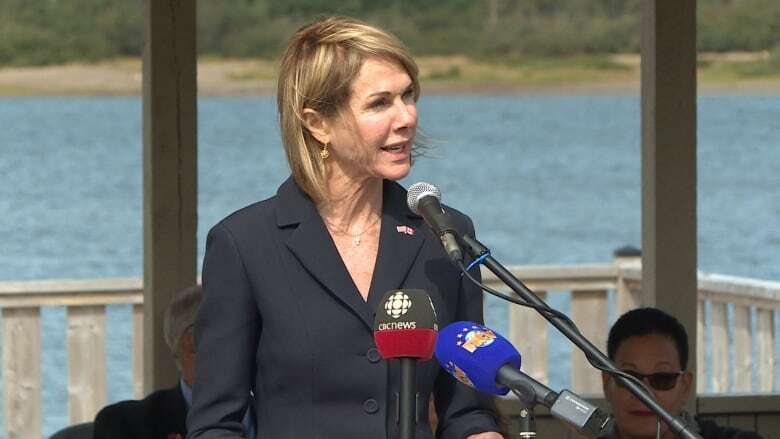 Kelly Craft, the U.S. ambassador to Canada, says Gander will go down in history for the part it played in sheltering travellers stranded by the terror attacks of Sept. 11, 2001. Craft, attending Appleton, N.L. 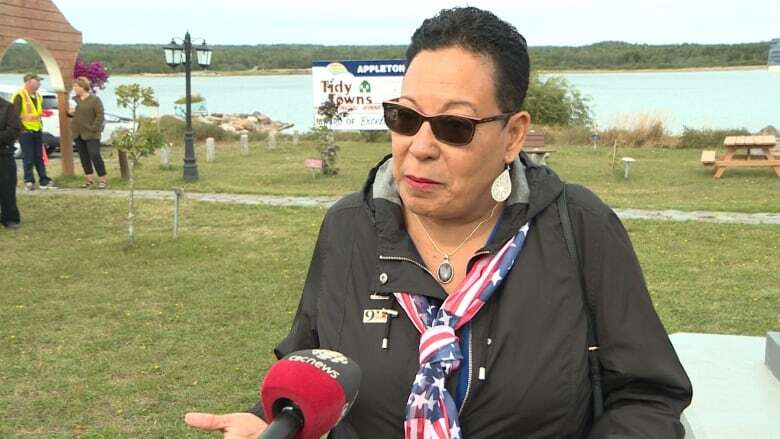 's annual 9/11 service at the town's memorial — about 25 kilometres west of Gander — said as ambassador she receives invitations every day to meet and share experiences with Canadians, more than she could ever accept. "But today, on this day in particular, there is no place I would rather be," she said. "For years, I've heard about this warm-and-wonderful place on the easternmost point of North America that welcomed the world on one of its most shocking days." Gander "embodies the meaning of friendship and humanity," said Craft, before alluding to a more tumultuous relationship under U.S. President Donald Trump. "Forget what you read about NAFTA negotiations and Twitter wars, that's not who we are. Sure, it's business, and it's important, but Gander is the place that — in a snapshot — illustrates the Canada-U.S. relationship," she said. Appleton Mayor Garrett Watton said 9/11 forged friendships and strengthened alliances. 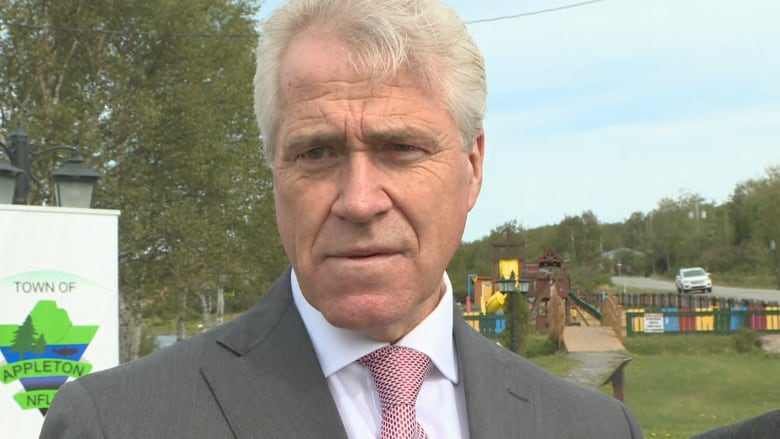 Premier Dwight Ball noted the region responded not with fear but with open arms to the travellers whose flights were diverted and grounded following the attacks in New York and Virginia and aboard United Airlines Flight 93. He added that it was surreal feeling, Newfoundland and the United States coming together in such a profound way to remember 9/11 in central Newfoundland. "Really at this level, back in 9/11 when there was a family that lost an individual, and yet that family still took in people that day, and those plane people that came to central Newfoundland and so many of them went to the funeral on that day, these are really nice stories," Ball said. "It really puts a sense of why it's important. It really brings it back to individuals." Craft said the welcome from Newfoundlanders that day epitomizes the relationship between the two countries. "We have each other's back, every single day," she said. "From one small-town girl to all of you on 'this rock' who cared for the world on that most awful of days, my gratitude is for your reminding me that which is essential: Selflessness, kindness and love." Jeanette Gutierrez first came to Newfoundland as part of a group from the 9/11 museum, and the 9/11 tribute museum. The group traveled from New York City on their own accord "to say thank you to the people of Newfoundland for everything they did on 9/11," she said. Now her third visit to the province, Gutierrez said the friendships she's made on the island are what keep bringing her back. "Last year I came here on vacation, just to vacation. That's it. It happened to be my birthday, it was a great birthday, and they took me all around Newfoundland. This year I was like 'oh I want to go see my friends again, I miss them,' but maybe I should go around September 11th. Because September 11th, as you can imagine, is difficult in New York," she said. "I'm not saying it's not difficult here, but it's so uplifting here. After our first trip all of us were totally blown away by the feeling, and we did feel guilty. In the beginning, we should not be this happy on September 11th. But why not? As long as you always remember ... Always remember, never forget, but move forward."